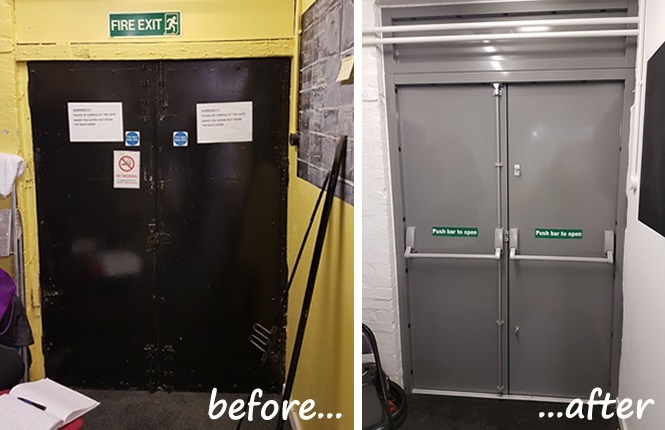 Complying with UK fire escape legislation, our range of fire exit doorsets are manufactured to a high quality standard, from panic hardware to our powder coating finish. 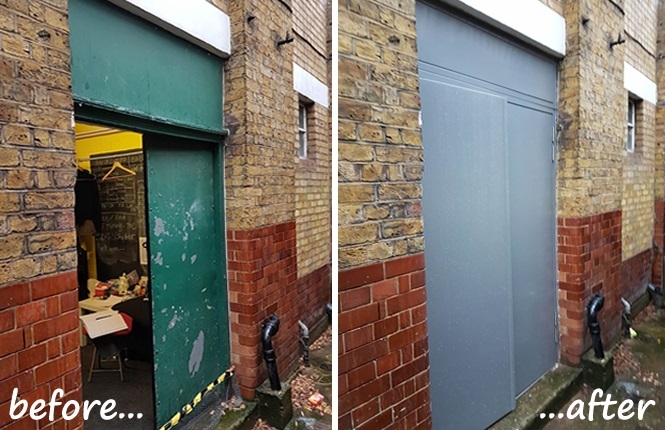 We provide both a supply only & London installation service to secure a wide spectrum of applications from high street shops, retail outlets, warehouses to offices & businesses. 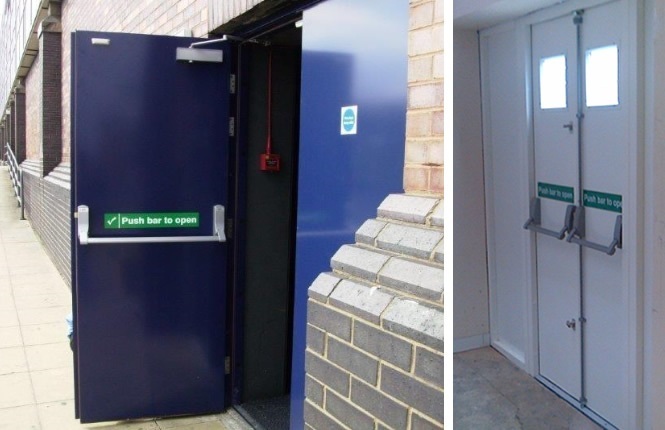 In addition, our RSG8100 fire exit doors are made to measure and available as single, leaf and a half & double combination, along with quality panic hardware, external access devices, additional deadlocks for night-time security, glazing where required and to suit different level of security and options. 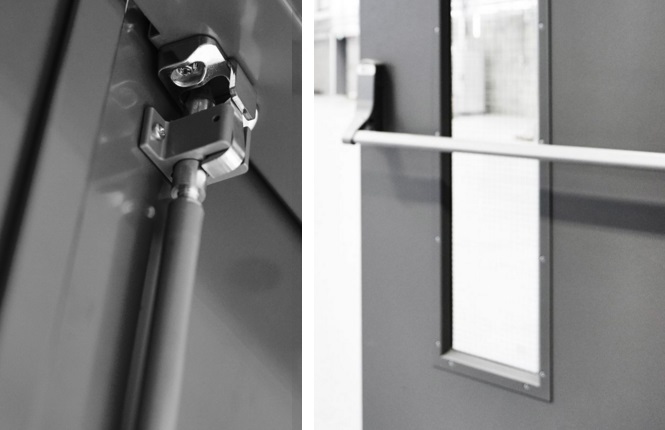 Combining Security, Quality & Fire Escape Solution - Get A Quote Today! Certified to international standards - CE Marked, ISO 9001:2008, CERIBOIS Thermal Rating to 1.8Wm2K (mineral wool core as standard instead of honeycomb core). 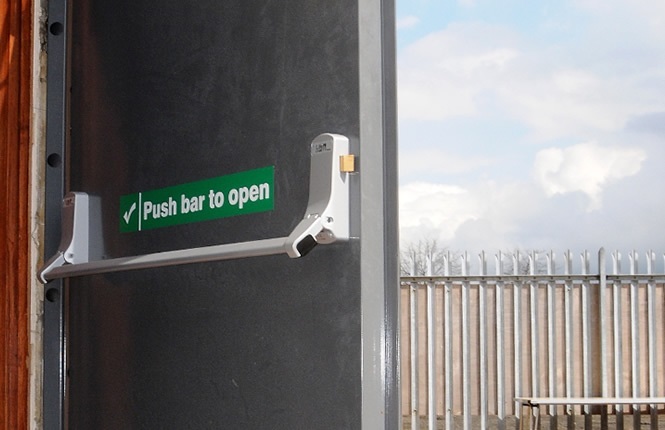 Available in a wide range of options - single and multi-point locking panic hardware, additional deadlocks for out-of-hours security and a lot more. Push pads are implemented on buildings with a limited number of staffs; where panic bars are designed to cope with a crowd escaping at once, in the event of a fire. 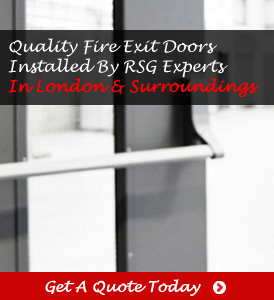 At RSG Security, we use good quality panic hardware on our range of fire exit doors. 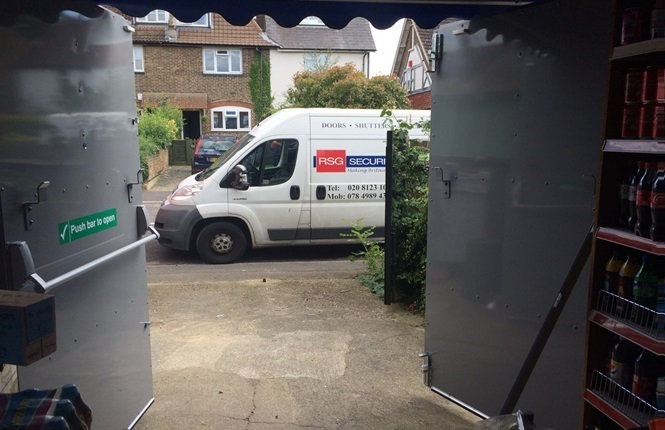 Please speak to us on 02081231088 or Get A Quote Today! 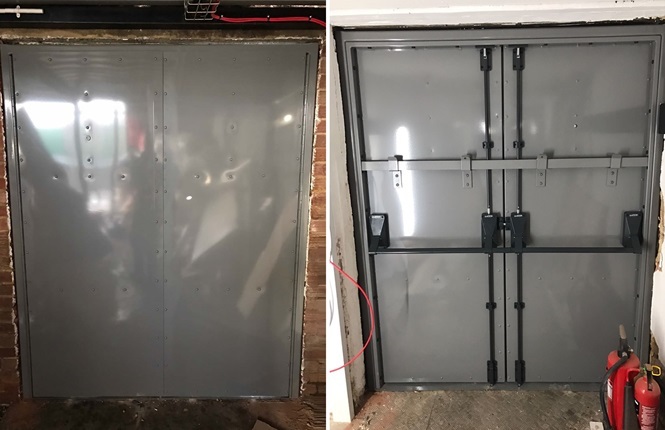 Commonly mounted on the passive leaf of escape double doorsets and in some instances used on single exit doors, multi-point panic hardware usually provide a 2 to 3-point locking, centre latch with a top bolt into the frame and a bottom bolt into the ground. 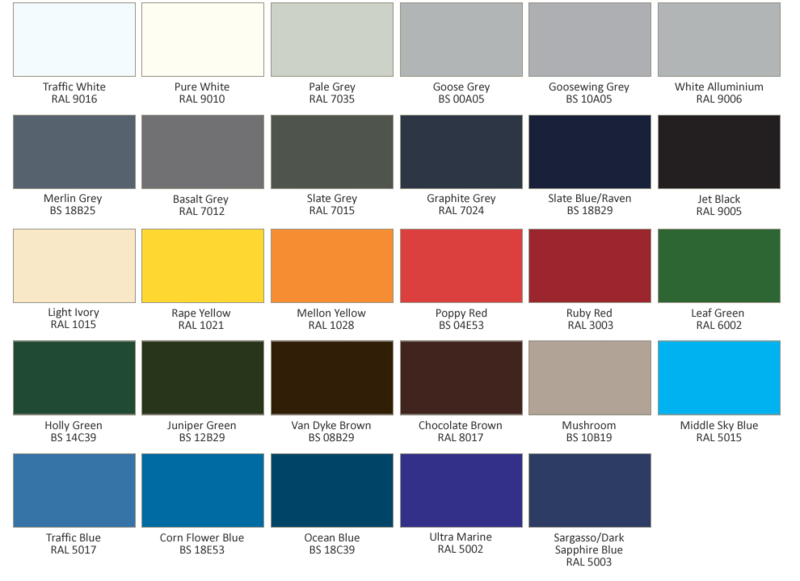 For help with specification, please contact us. 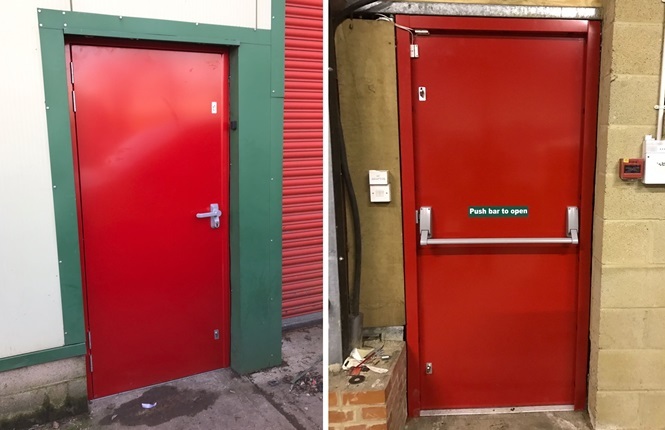 Most emergency escape doors are purely for egress, however, in some circumstances, external access is required and this is where an external override comes in handy. As standard, they are available with the option of either a knob or a lever handle and normally take a euro profile key cylinder. 9 out of 10 times, fire exit doors are outward opening. However, in some instances they can be inward opening. In such cases, we use an emergency escape sashlock which allow single action escape via the lever handle internally, irrelevant if the door is in a lock position. Please speak to us for more details. 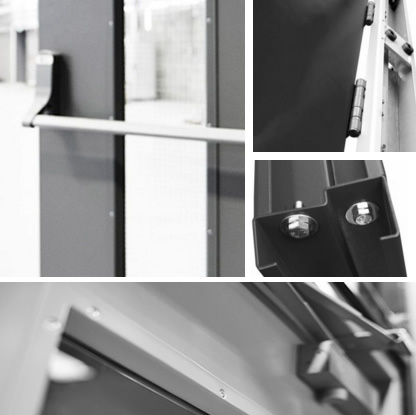 Panic hardware are primarily designed for escape, which is why fire escape doors are burglar's favourite. 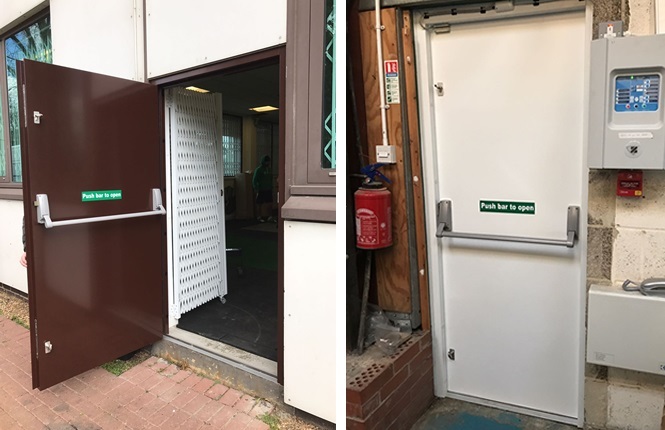 At RSG Security, we take security seriously and strongly advise our customers to have additional deadlocks with internal thumbturn or security drop bars for peace of mind outside opening hours. 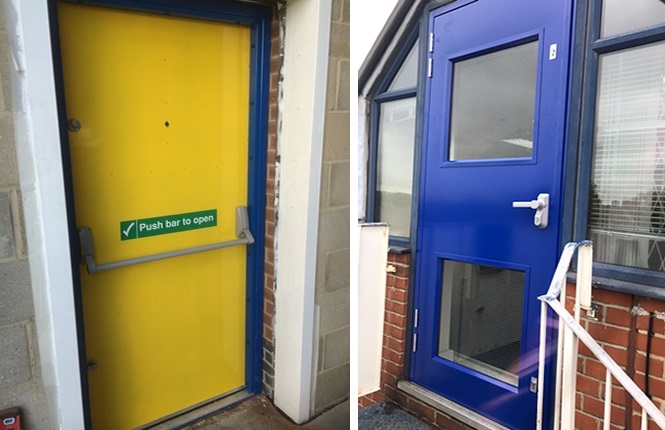 Mechanically & electronically operated codelocks, as well as a built-in electric strike locking linked to an access control device can all be used in conjunction with a panic hardware installed on the internal face of the doorset. 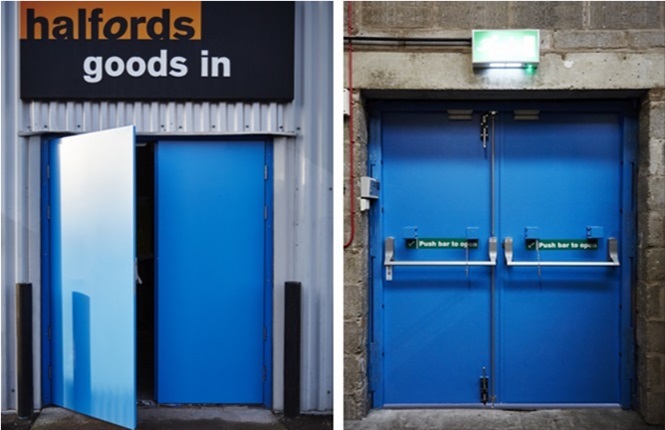 To learn more, please see our RSG8300 Access Control & Communal Doors. From single to double glazing, our vision panels are available in 6.4mm laminated glass, 6mm toughened glass, 6.4mm Lexan polycarbonate and 6mm georgian wired, all available in these sizes: 152x762, 203x762, 203x203, 305x305, 355x355, 610x610, 457x457, 508x508, 203x1067, 254x1219, 254x1524. For non-standard sizes, please contact Our Sales Office. 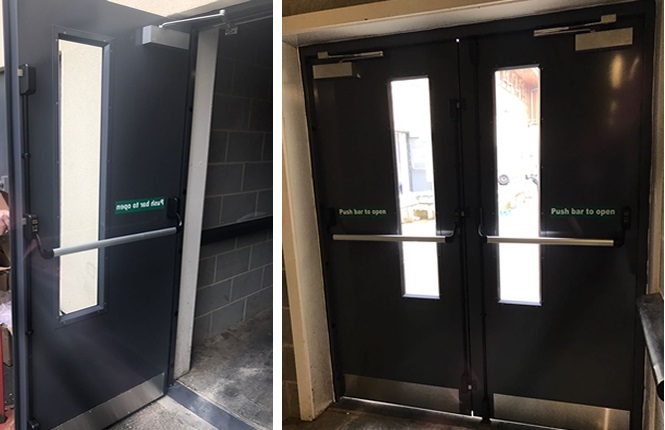 For enhanced security & functionality, our steel doors are available with extra features such as increase skin thickness up to 2mm, timber core infill, steel & glazed side/top panels, along a full range of hardware - our common few are friction stays, door closers, letter box, spy viewers, drop bars, flush bolts, rain deflectors, finger protection strips, Redlam & Key Box break glass units.